Cervical cancer patients will now have access to the drug Pembro, which Cervical Check campaigner Vicky Phelan believes saved her life. 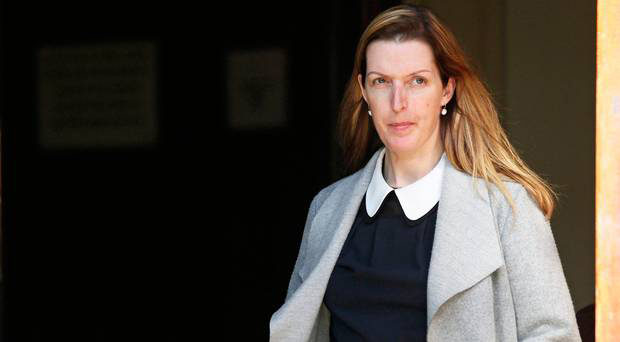 Phelan, who has been a vocal critic of how the HSE has handled the Cervical Check scandal, criticised the government for not making the drug readily available. The drug is now being made available on an exceptional basis to cervical cancer patients in public hospitals on a case by case basis. Pembro (Pembrolizumab) is used in cancer immunotherapy that blocks a protective mechanism of cancer cells and thereby allows the immune system to destroy them. For those paying privately, Pembro treatment costs €8,500 every three weeks. Common side effects of the drug include fatigue, rash, itchiness, diarrhoea, nausea and joint pain. However, Phelan believes these pale in comparison to the side effects that most traditional forms of cancer treatment come with. “I’ve no side effects but some pains in my arms and hands, but that’s peanuts compared to what you have to put up with chemotherapy,” she said. Phelan spoke to the Oireachtas last year about the changes she would like to see in the HSE to ensure another scandal like the one cervical cancer patients endured would not happen again. “The big thing for me is patient’s safety. I’m not here for revenge, that’s not what I’m here for. I do want to see accountability and I would like to see a legacy. “A legacy that this will never happen again to any woman, man or child in this country. The Cervical Check screening scandal came about when women with cervical cancer were not told that the smear test results showing them to be in the clear were in fact inaccurate. Screenings, which are commonly confused with diagnostics, differ as screenings are used to detect potential disease indicators while diagnostics are used to establish the presence or absence of a disease. January was Cervical Cancer Awareness month and donations can be made to the Irish Cancer Society to fund research on the disease.